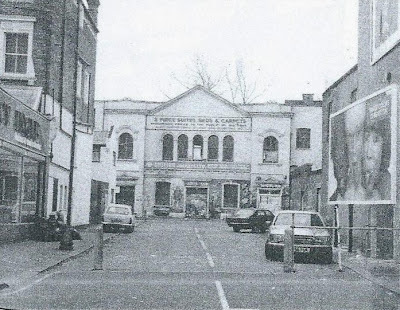 E7 Now & Then: Forest Gate Rock - a local anthem! Forest Gate Rock - a local anthem! 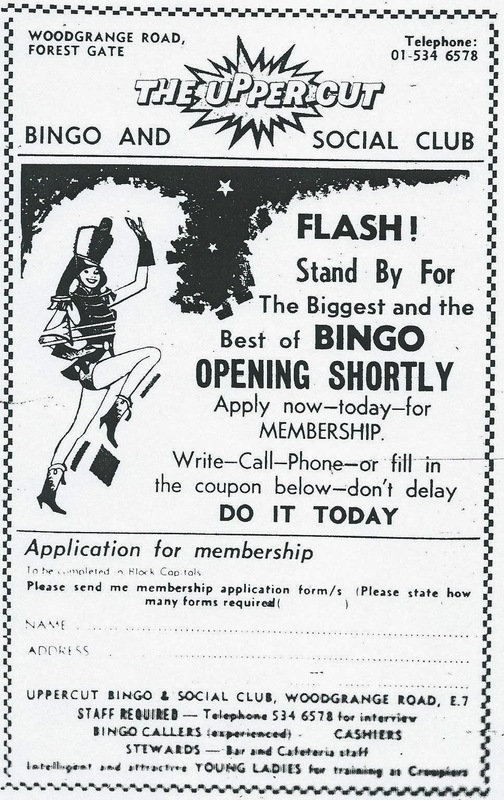 Continuing our monthly series on what was happening at the Upper Cut club on Woodgrange Road at this time of the year, we feature - briefly - the gig lists for its opening and closing months - December 1966 and December 1967, respectively. But first, possibly one of the venue's longer lasting effects, which may well have been inspired by an appearance at the club on Saturday 23 September 1967, by the Jamaican Ska and early Reggae band, the Skatellites. They had had a chart success with their biggest hit Guns of Navarone a year or two before the Upper Cut gig. 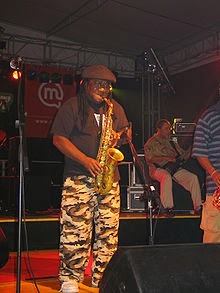 Within two years of the Forest Gate appearance Jamaican brass player, Lester Sterling, had left the band - temporarily - and released an album with Pama records, Bangarang. could become a local anthem! On it was the track Forest Gate Rock, possibly inspired by that one local appearance. And pretty good it is too, as you can tell from this You Tube clip. It could become the anthem for our revitalised postcode! Sterling rejoined the Skatellites in 1975 and has been in and out of it since. He still plays with the band as its sole founding member. We featured, at some length, the circumstances around its opening and closing last July (here and here for details), and below we briefly recap on the awesome array of talent that entertained Forest Gate a generation ago. It was only open a calendar year, as we have described, from its fantastic beginnings in December 1966 to it being upstaged and out manoeuvred by other local venues a year later, as the line ups below suggest. 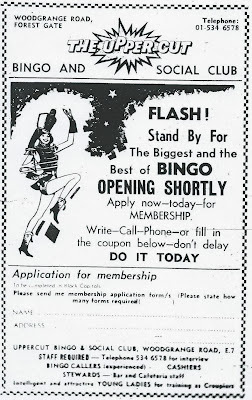 The venue opened it Bingo club in January 1968, thus signalling the end of one of the shortest lived, but most star studied, music venues in London. Tune in and listen to the back catalogue, and as the man, himself says ... Enjoy!! E7-NowAndThen will be taking a break for a month or so, as we seek a bit of African sun. We'll be back with a flow of exciting new posts from early February, so have a good new year - and enjoy the cold! !